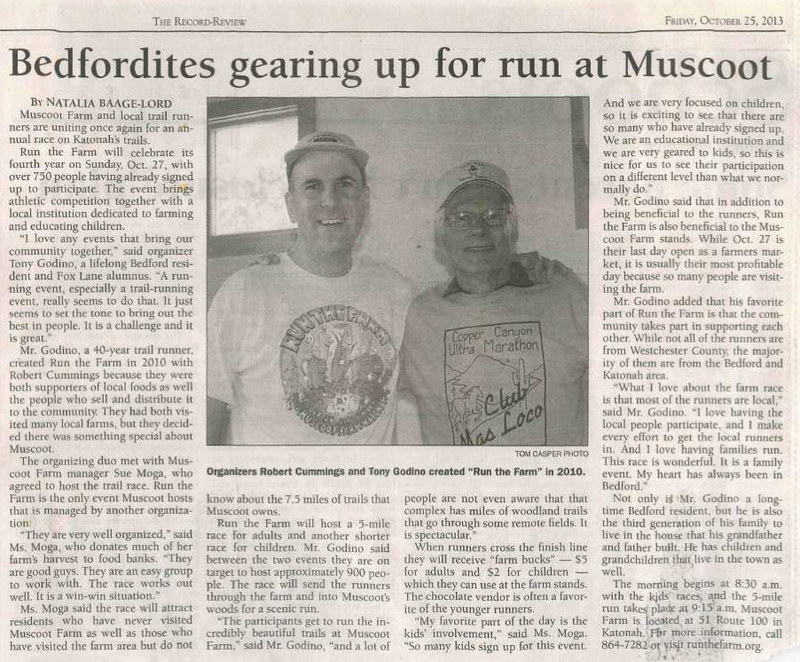 The Bedford Record Review published an article about Run The Farm in the October 25, 2013 issue. We have scanned it and it appears below. Click for a slightly larger copy to read more easily. Thanks to Natalia Baage-Lord for speaking with us and Sue Moga about the event. Looking forward to the 5th annual event Oct 26, 2014! ← Registration Open for 2014 Run The Farm!